Extraction, Washing, Sorting And Distraction Of River Gravel. 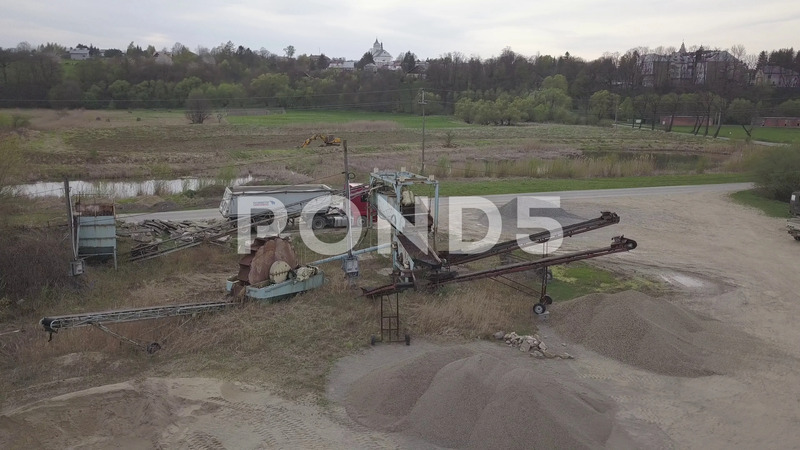 Description: Debowiec, Poland - april 24 2018: Extraction, washing, sorting and distraction of river gravel. Mining industry. Technology of obtaining a stone. A bird's eye view. Shooting with a quadrocopter.